Opening as the first of six projects that were to make up the extravagant CityCenter on the Las Vegas Strip, Vdara Hotel & Spa would need to stand out as an establishment built on opulence, class, and luxury. 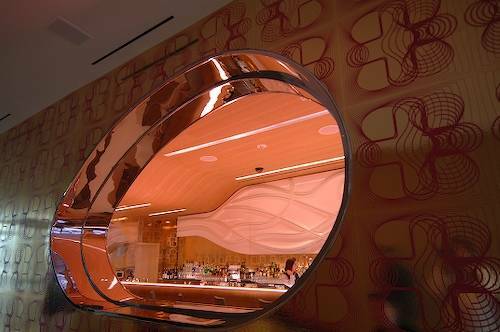 After its December 2009 grand opening, this resort easily topped the list as one of Sin City’s most luxurious venues. With over 1,400 suites and a two story, 18,000 sq-ft spa and fitness center, Vdara easily drew in a crowd that, even 2 years after its opening, is still asking for more of this locations top-of-the-line amenities. 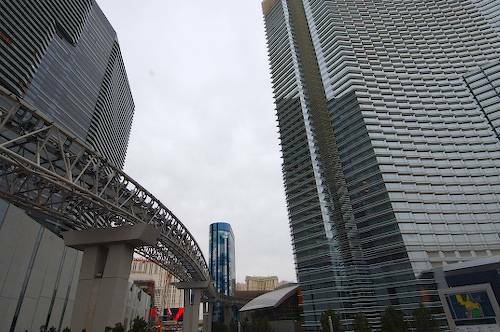 Making up Vdara’s overnight accommodations are five different room variations. The most basic of them are the 582 sq-ft Deluxe and Premium View suites. A custom designed pillow-top mattress welcomes guests to their plush oasis while a contemporary gourmet kitchen lets them know that there is no need to leave the room. A dual-sink bathroom and separate living room with pullout sofa top off the five-star amenities of these rooms. Where the Premium View suite excels is exactly as the name implies. Guests are offered a view of either the luxurious CityCenter of the famous Fountains of Bellagio, a site that any tourist would die for. At 791 sq-ft are the City Corner Suites, which are essentially larger versions of the Premium View suites. 809 sq-ft of luxury and comfort come with the Vdara Suite. With everything the Deluxe, Premium View, and City Corner Suites has to offer, the Vdara suite allows for a little more legroom for those welcomed guests. At 836 sq-ft are the Panoramic Suites, which offer a 270-degree view of the brightly lit Las Vegas Strip. Vdara may not impress with completely oversized rooms, but with what it does have to offer, there’s no need to overcompensate. Being located right next to CityCenter offers an advantage to Vdara that most Sin City hotels do not have – high end shopping and dining. Access to the opulent shopping center, Crystals, grants Vdara’s guests first rate shopping and dining opportunities at some of the city’s highest end locations. 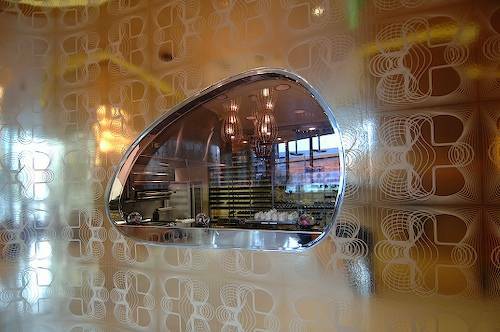 Dining options within the hotel include the Market Café, which offers an array of high end cuisine. 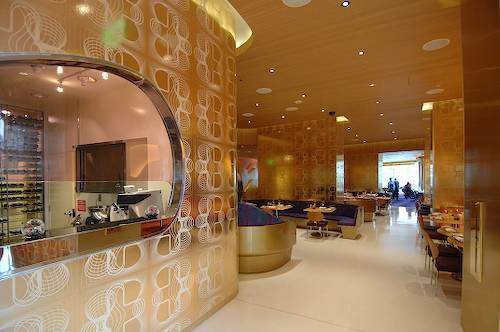 While Vdara may lack its own on-site entertainment, the locations five-star salon, spa, and fitness center more than makes up for its few shortcomings. Guests can partake in an assortment of spa and fitness activities before treating themselves to the salon services to get ready for a night on the town. The two story spa is the best on the Strip, and it will take a lot of work for another venue to come even close. 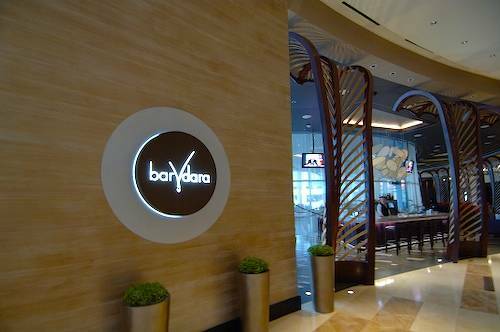 Vdara may not hold the entertainment value that some of the other Sin City hotels do, but what it does offer is more than enough to attract a large crowd. 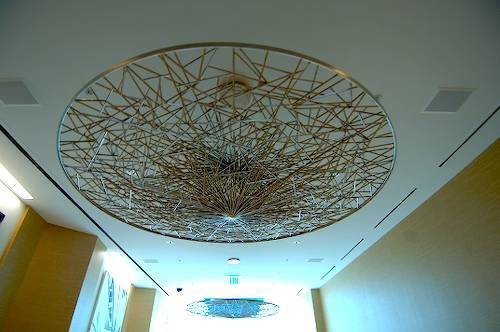 It’s centralized location right next to CityCenter and across the street from the MGM Grande ensures that any guest will be in walking distance to the best of Las Vegas.